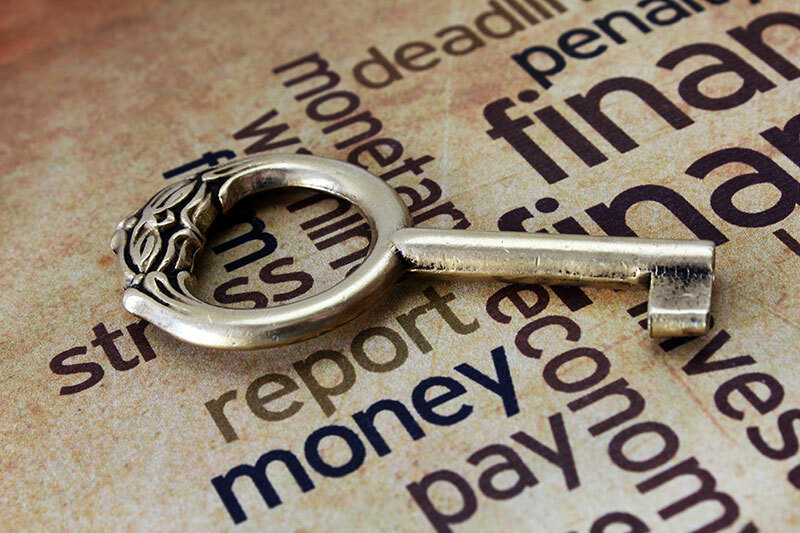 An international trust is a legally proven tool for brick-wall-strong asset protection. International trusts have been used for generations by America’s wealthiest families to reduce taxes and shield against lawsuits and unwanted publicity. Today any financially successful American can easily establish a lawful international trust to get the same asset protection and safety. 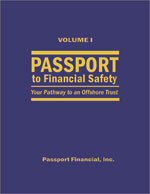 Look to Passport Financial for practical information on the protective power of a lawful international trust. Passport Financial’s International Trust Kit provides all the information and ready-to-use documents you need to establish a lawful offshore trust for full asset protection. Get the complete four-volume Kit for only $295 — and with a 100% money-back guarantee. Click here to order and receive a 30-minute trust planning consultation at no additional cost. Whatever the Washington politicians’ next big idea turns out to be, don’t be surprised if it leaves your assets even more exposed than they are today. You may not welcome the fact, but a fact it is: we are living in an era of ever-busier government, and everything is up for grabs. The situation nearly shouts that your assets need protection. That’s why I put so much of myself into developing the Passport Financial International Trust Kit. Put up a big NO TRESPASSING sign that guarantees failure for anyone planning a lawsuit against you – and cuts the risk that anyone will ever try. Access tax-advantaged investments you can’t get in the U.S., so that less of your profits are drained off by the tax collector. Protect your family from estate taxes and the pain of writing a giant check to the IRS. Eventually remove family wealth permanently out of the U.S. tax system, for faster investment compounding. Sounds good, doesn’t it? Far better than what most people have. Maybe better than what you thought possible… but please reconsider that last point. With Passport Financial’s International Trust Kit, solid protection isn’t just possible, it’s something you can accomplish quickly and inexpensively. And the protection is permanent. But I’d want even more. Before I’d say “Sign me up,” I’d ask whether all that protection comes with the Eight Good No’s. You might say “That’s all I want. More than I ever hoped for. I want to get started with the Trust Kit now.” But whoa! Not so fast. Just between you and me, I’d hold out for still more. I’d be looking for the Eight Good Yes’s. Yes, when I need cash in my checking account… there it is and ready to spend. Yes, I can manage my investments any way I want. Yes, I gain access to a wider world of investing, including profitable, tax–favored choices most people never hear about. Yes, it’s clean and simple, so I won’t have to go back to school to understand it. Yes, it complies with all IRS requirements. I’ll know I’m on solid ground. Yes, it comes with an independent legal opinion confirming that it really does what it looks like it does (an even bigger Yes if it comes with two independent legal opinions, as in the Kit). Yes, the full protective power continues on for my family, from generation to generation. It’s a permanent solution. Yes, it’s been done before, safely and successfully, by people with serious wealth and with guidance from the best lawyers, who want protection from lawsuits, rising taxes and government surprises… but it’s never before been done so conveniently and at so little cost. Until the Kit became available, those advantages were out of reach for most people. But now the Kit lays out a practical way for you to get the protection you want from malicious lawsuits, from never–ending taxation and from the feeling of being so vulnerable to government surprises. The benefits are big… and you can get them with a play–by–the–rules approach that avoids trouble and puts the rules to work for you. What’s more, I can show you a zero–risk way to get the complete story (A to Z, every detail is covered). Then you decide for yourself whether the Kit is exactly what you’ve been hoping for. It’s easy to do. And it’s surprisingly inexpensive. Yes, Passport Financial’s International Trust Kit is the practical way for you to end your exposure to malicious lawsuits and government surprises. You really can rescue family wealth from never-ending taxation. And you can assure your access to every world investment market no matter what new restrictions Washington might impose on Americans who’ve failed to plan in time. Get the job done, and you’ll be free to stop wondering what’s coming next from Washington. They have a new program to control the U.S. economy? Your wallet and your life won’t be part of it. Congratulations and thank you for what you’ve done for all of us. Through your trust package, I now have the financial freedom and privacy I’ve been dreaming of all my life. That’s just the start of the advantages you can have with a properly designed, lawful international trust. A trust means that a qualified financial institution you’ve selected to be your trustee holds the assets you want to protect – and has only as much management control as you want the institution to have. International means you’ve selected a trustee in the country whose laws work best for protecting your wealth and saving on taxes. Lawful means that you comply fully with all U.S. laws, rules, regulations and requirements. Until recently, the advantages of a lawful international trust were available only to the very wealthiest families. Getting them was expensive and time consuming. But now the Trust Kit makes it practical for almost anyone to gain the advantages of a carefully thought out, lawful international trust. Protection from malicious lawsuits.Your Passport Trust puts up a NO TRESPASSING sign warning away anyone who might ever think about suing you. Do things right (the Kit explains exactly how), and it’s virtually impossible for any lawsuit artist to break in. And the Trust is designed so that no one can twist your arm to bring the money back before you want to. The more the politicians cheer on the litigation explosion, the more important lawsuit protection becomes for your financial security. Fewer dollars lost to income tax.Your Passport Trust gives you readier access to tax–advantaged investments and to tax–planning strategies that are available in the U.S. only for very large transactions. There’s big money to be saved. And after your lifetime, your Trust completely disconnects from the U.S. tax system. At that point, no one will be liable for tax on earnings the Trust reinvests. The bigger the Obama deficits get, and the more often Nancy Pelosi calls for even more spending, the more there is for you to gain by limiting the tax burden on your investment returns. An end to estate tax. Your Passport Trust permanently rescues family wealth from estate taxes. The Trust accommodates all the estate–planning strategies you’ve heard about, plus some powerful strategies you may not yet be familiar with. And then the Trust exits the U.S. tax system. You could be the last person in your family who ever needs to think about the tax aspects of estate planning. The more brazenly the politicians insist that what you’ve earned really belongs to them, the more important it becomes for your family to escape the generation–after–generation bite of estate tax. Protection from worry and surprises. Your Passport Trust can never be trapped by exchange controls imposed by the U.S. Government… or by rules against taking capital out of the country… or by a prohibition on owning gold. It’s simple: your Trust will be governed by the laws of a different country – your safe haven. Such restrictions have been imposed on Americans before in times of economic stress – including the seizure of gold in 1933 and the interest–equalization tax of 1963 that hobbled Americans who wanted to invest outside the country. If you wait until it happens again… then it will be too late to protect yourself. You did a fantastic job of making a complex subject crystal clear. The Kit explains, step by step, exactly how a lawful international trust works and how it protects you and your family. You’ll learn about the authority you keep to make sure the Trustee never looses sight of your objectives (including your power to replace the Trustee if you’re ever disappointed with its performance). And you’ll examine the country whose laws, culture, location and reputation make it the ideal choice for a lawful international trust. It’s an English-speaking country with no taxes on trusts. In addition, you’ll be introduced to an independent Trustee (the largest trust company in the country) that’s fully licensed and insured. Their staff of lawyers, accountants and other trust professionals work with U.S. clients every day. They understand the desire U.S. clients have for lawful protection and legitimate tax–planning advantages. And they already have administrative systems in place to handle your Passport Trust (a factor that helps keep Trust expenses low). They administer the Trust for you and the other Beneficiaries you’ve included, so that your Trust Fund is ready for you whenever you need it and, with your advice, is available for the other Beneficiaries. Thank you for providing a fabulous service. You’ve simplified a complex topic and made me feel comfortable that I can avoid lawsuits and pay less income and estate tax. How a proper international trust repels lawsuits and protects family wealth from all attackers. How an international trust can help cut taxes on your investment returns. Family wealth can grow faster. How an international trust can execute all the standard estate planning strategies… and then do much more than any stay–at–home trust. How to comply with all U.S. reporting rules, to keep your Passport Trust completely non–controversial. How to make sure your Trustee never loses sight of your objectives… and always treats you as a client who’s free to take his business somewhere else. The Kit comes with all the actual, ready–to–use documents needed to establish a lawful international trust (including the legally binding Trust Deed). You’ll appreciate how clearly written and readily understandable the documents are. Nothing about a Passport Trust is hidden in legalese. Volume II of the Kit gives you the comfort of three separate professional opinions. It’s an extraordinary bargain. You get the benefit of these third–party reviews without laying out the thousands of dollars in legal and accounting fees you’d pay to hire qualified professionals on your own. Volume III of the Kit contains the Annotated Standard Terms of Trust. In a two–column presentation, this booklet gives a further explanation of each provision of the Terms of Trust that bind the Trustee, define your powers over the Trustee and spell out the rights of the Beneficiaries you’ve included. We made the Kit complete, so that you’ll have all the information, all the understanding, all the confidence and all the documents to act and get the protection you and your family need. We know you’ll never establish an international trust unless you truly understand everything about it. So the Passport Trust program doesn’t invite you to stop thinking for yourself. It doesn’t ask you to rely uncritically on anyone’s advice. It doesn’t skip over any details. Instead, the Kit teaches – and gives you the power to act now. You’ll be equipped with a solid understanding of international trusts and the safety they provide, but you won’t be left on your own. You’ll be entitled to a free, 30-minute, one-on-one telephone consultation with an experienced representative of Passport Financial. In addition, you’ll be welcome to call our HelpLine at 1-800-707-1830 with questions at any time. I’ve spoken with hundreds of Americans who’ve used the Kit to gain the safety of a lawful international trust (and to quite a few of their lawyers). Again and again, I get “thank you’s” for making the Kit complete and easy to use. A Passport Trust is a legal arrangement for protecting any type of investment that is important to you (anything at all, including real estate or a family business). And the Trust leaves ample room for you to manage the investments exactly the way you want. Your Passport Trust can have an account with any bank or broker you select anywhere in the world – and you can make all the buy and sell decisions. Or… your Passport Trust can own a private company (such as a foreign limited liability company) that you manage and that owns the investments. As company Manager, you issue the buy orders and you issue the sell orders. All the investments are under your thumb. Either way, you call the shots on investing. Or, if you prefer, you can name your own investment adviser to manage the Trust’s investments. And if you don’t elect any of those options, the Trustee will be responsible for administering your Trust Fund in a conservative, tax–conscious program for long–term protection and growth of purchasing power. The Kit explains how all the choices work and how they allow you to give the Trustee as little or as much investment control as you want. Your Passport Trust has assured access to the entire world of investing. U.S. investors are often frozen out of investment opportunities because so many foreign financial institutions fear entanglement with U.S. regulation. Your Passport Trust can be a welcome customer even where you personally might not be. I’m ordering three more Passport Financial Trust Kits. After reading mine, other members of my family were so impressed they want to open an international trust for themselves. A Passport Trust aims at enhancing your peace of mind, but to do that, it needs to be fully acceptable to your personal advisers. Your Lawyer will recognize immediately that your Passport Trust is designed around the plain, black–and–white laws of the U.S. and is based on established principles of trust law he’s long been familiar with. The Kit comes with a legal opinion from a law firm where the Trust is located and a separate tax opinion from a prominent U.S. tax attorney. You won’t be betting on any gray areas. Your Accountant will tell you that the tax status of your Passport Trust is obvious – no uncertainties and no room for disputes. That’s because the program isn’t built on strained or wishful tax theories. The applicable U.S. tax rules (fully explained in the Kit) are clear and simple. And so are the IRS reporting requirements (explained in a CPA’s memorandum on reporting included in the Kit). Nothing shady, nothing shaky. So you needn’t be – and shouldn’t be – secretive about your Trust when you file your taxes (although the Trust will make digging much harder for lawsuit snoops). The Trust protects your assets by complying with the laws of the country where it’s located, not by hiding your assets. And the Trust’s tax–planning advantages come from complying with U.S. tax and reporting rules, not by trying to hide income. A Passport Trust operates comfortably in the light of day. All the protections and advantages of a Passport Trust work for you and the other Beneficiaries you include. When you need to draw on the Trust (you’re always first in line), the Trustee can respond quickly by wiring cash to your regular checking account. It can even pay your credit card bills or provide benefits to you by other indirect means, if it ever becomes helpful to do so. I would like to order more of your trust kits to use in my practice. I’m an asset protection attorney and I would like to start using your trust program — it’s better than what I’ve been using. A Passport Trust means permanent safety – not just short–term protection. So much power. So much good. The essential legal principles underlying a Passport Trust are centuries old. Well informed people with serious wealth and top legal advice have been using international trusts for years to gain protection from lawsuits, rising taxes and government surprises. But it was an expensive ($30,000 and up for legal fees) and time–consuming (many months) project to set one up. And year after year it was expensive to maintain. An international trust might have been practical if you had $10 million or more to protect. Otherwise, probably not. Now the Passport Financial International Trust Kit cuts the cost and the time required for you to achieve the safety of a lawful international Trust – without watering down that safety or any of the other advantages. The price of the Kit is only $295, and it includes all the documents you need to actually establish your Trust. (Because the documents have already been prepared and are ready to use, it would only take a few hours of your attorney’s time to review them and give you personalized advice. You’ll save thousands in legal fees.) And you’ll be entitled to a free, 30-minute telephone consultation with an experienced Passport Financial professional. The economies and efficiencies the Kit makes possible don’t stop there. The Trustee already has systems up and running to administer your Passport Trust, so its fees are remarkably low. It doesn’t take $10 million to join the club anymore. The Kit makes it practical for you to have all the safety and advantages of an international trust with a Trust Fund as modest as $500,000 (and you’re welcome to start your trust with just a token amount). It won’t take months to get the job done. Pay $295 now on a no–risk basis and we can put the Kit in your hands at internet speed. Then, after you’ve studied the materials carefully, if you decide to proceed, you can have all the protection of a lawful international trust working for you and your family in just two weeks. Instead of spending over $10,000 with trust attorneys, your Passport Financial Trust program does more for a small fraction of that — and I’ll have full protection in weeks rather than months. We’re confident you will be deeply impressed by all the practical, useful value you receive with the Kit. So confident that we offer the Kit with a full, 100% money–back guarantee. If you decide the Kit doesn’t live up to what we’ve said here, or if you are disappointed in any way, just return it within 30 days and we will refund the entire purchase price of $295. You get your money back. You get all of it back. And you get it back immediately. No questions asked. We get almost no takers on that promise, but when we do get one, we live up to our promise promptly. No foot-dragging. To purchase the Passport Financial International Trust Kit for $295 and receive our 100% money-back guarantee and qualify for a 30-minute consultation at no additional cost, click the Purchase button below. 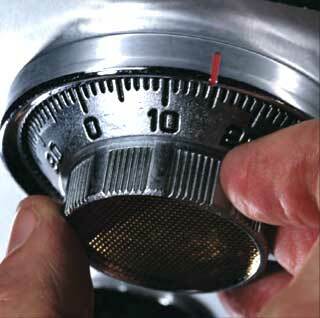 Today the door is wide open for safeguarding your wealth with a lawful international trust. But the rules can be changed, and they can be changed without warning. Overnight the door that is now wide open could be slammed shut. And locked. You and I both know where the politicians now in charge want to take us, so I hope you’ll act now, before it’s too late. We offer a money–back guarantee. The government doesn’t.